A noted Leipziger of yore. Today we are getting more details of that cross-fertilization initiative which, beginning a year from now, will encourage: co-commissioning, sharing the spotlight on each orchestra’s culture and history, and musician exchanges between the two orchestras and their respective acclaimed academies for advanced music studies. The BSO tells us that a “Leipzig Week in Boston” (February 2018 and November / December 2018) and a “Boston Week in Leipzig” (June 2018 and August / September 2018) will make much of each other’s musical traditions, through orchestral programs, chamber music, archival exhibits, and lecture series. Christoph Wolff, Adams University Professor at Harvard, former director of the Bach Archive in Leipzig (2001-’13), author of numerous acclaimed texts on the history of music from the 15th to 20th centuries, and sometime contributor to BMInt adds significant intellectual luster as artistic adviser to the BSO / GWO Alliance. Without German composers and musicians, early Americans would have stood little chance to Make American Music Great. Who would have listened to the Handel and Haydn Society, the Harvard Musical Association Orchestra, and the Boston Symphony if we had not had the services of Wulf Fries, Franz Kneisel, Alwin Schroeder, Carl Zerrahn, Georg Henschel, Karl Muck, usw? One hundred years before there was even a German nation, Germans were building Boston’s musical institutions. 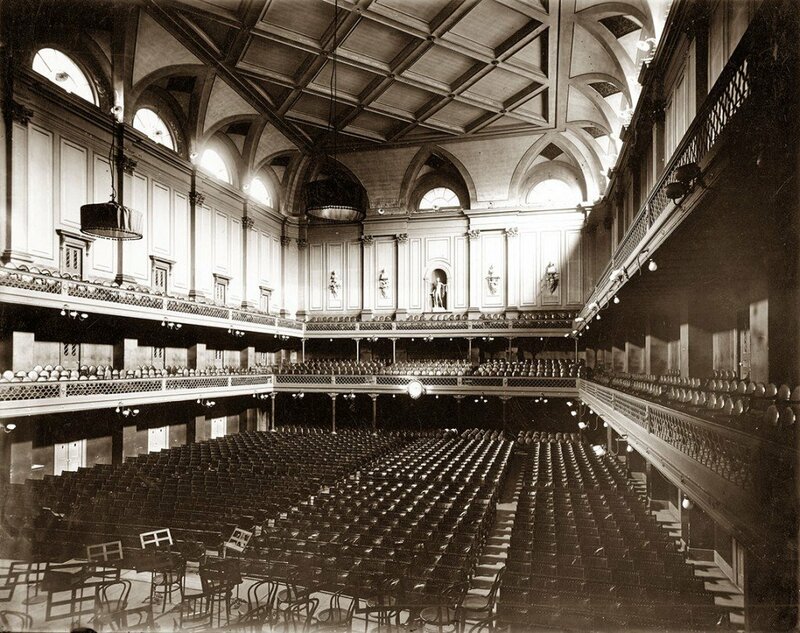 And many have written about the similarities of the 1852 Boston Music Hall, the second Leipzig Gewandhaus, and Symphony Hall. Die Deutsche Kultur is long-established here. Indeed, BSO rehearsals were conducted in German until the First World War. From our perspective, though, it is the strengthening and extending of American roots in German soil that constitute the most important potential outcome. But what do Europeans want to hear from us? In this hopefully short-lived nationalistic era, getting Leipzig to Hear America Singing, in the voices of Copland, Carter, Bernstein, Sebastian Currier and Sean Shepard—that’s one small way to prevent the return of iron curtains. FLE: Can you elaborate somewhat on your role? Will you be responsible for selecting the content of the discussions? Will you moderate and participate? Will this influence programming of either orchestra? Christoph Wolff: I look forward to participating with colleagues and friends in showcasing the very special but easily forgotten lasting contributions two world-class orchestras have made to classical music. Consider that Beethoven’s Piano Concerto no. 5 was premiered by the GWO and that the BSO commissioned Stravinsky’s Symphony of Psalms. In weeklong mini-festivals each season, both orchestras and their related chamber ensembles will program important works originally associated with the “opposite partner” and, at the same time, perform a jointly commissioned new piece. Over a five-year period, such carefully planned programs will offer numerous possibilities of exploring music in the cultural context of two very different yet also quite comparable cities of commerce and learning. What is it about the Leipzig Gewandhaus Orchestra and the city of Leipzig that makes them both so distinctive? The GWO is more than 500 years younger than the St. Thomas Choir in Leipzig (founded in 1212), but closely related to the same history. Founded in 1743 by music-loving businessmen and largely staffed by musicians trained by Johann Sebastian Bach, it quickly developed into a distinguished orchestra that benefitted from a vibrant scene of music publishing (Breitkopf & Härtel, C.F. 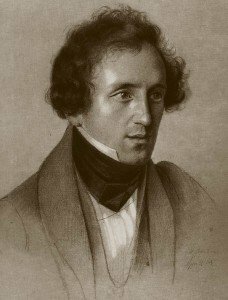 Peters) and music education (the first German Conservatory, founded in 1842 by Gewandhaus-Capellmeister Felix Mendelssohn). As for many generations, the GWO today serves as the city’s symphony orchestra, its opera orchestra, and also as church orchestra for the performances of the St. Thomas Choir. How well do you know the conductors and administrators of the two orchestras, and are they enthusiastic about this collaboration? Since the summer of 2015, I spent quite a bit of time with Andris Nelsons, who conceived the alliance and is truly committed to making it work, with Marc Volpe and Tony Fogg of the BSO as well as with the GWO management. It turned into a very congenial and balanced team that never runs out of ideas. Will the BSO play the Cantor of Leipzig differently as a result of this experience? I am sure that the whole thing will be a great learning experience for both orchestras. However, as far as playing Bach is concerned, neither orchestra can teach the other historical performance style. At the same time, I can well imagine that a greater exposure to Bach will result in a leaner and more expressive “symphonic” Bach style. German audiences in general have never really embraced “classical” American music. Moreover, traveling American orchestras predominantly bring European music to Europe. The BSO under its Lithuanian conductor Andris Nelsons wants to change the emphasis and I believe that the opportunity of becoming familiar with a broader repertoire of American composers will make a difference. On a different note, the idea of the BSO-GWO Alliance predates the Trump presidency and will demonstrate that the world of music remains as undivided as ever. FLE: Do I detect some symmetry here with the BSO going back to its Germanic roots? In revisiting each other’s signature repertoire, will the two orchestras also be trying to re-create each other’s sounds? And if so, from what eras? Tony Fogg: There is probably only a symbolic symmetry here. The first BSO included about 30-odd musicians who were trained in Leipzig—a proportion which certainly would have greatly contributed to the color of the ensemble. Today’s BSO is already much more of a hybrid of playing styles and traditions, with true flexibility of approach being one of its greatest hallmarks. The inclusion of just a few players from the GWO each season will certainly add to the mix but most likely will not dramatically change the sound of the orchestra unless one of them is in a key wind or brass chair. CW: I don’t think that the orchestras will or should try to imitate, let alone re-create, each other’s sound. However, I could well imagine that the GWO (or any other German orchestra, for that matter) will learn from BSO players how to get a more natural “swing” into performing music by Leonard Bernstein, Gunther Schuller, and the like. We are very keen on the relationship between the BSO and Maestro Nelsons, as are most of our readers, but can you tell us from a marketing prospective how aware the average audience member is of the identity of the night’s conductor? Kim Noltemy: The top three factors that patrons consider when deciding to attend a particular BSO performance are the program, the conductor, and the guest artist. To what extent does this very exciting collaborative effort make a virtue of the necessity of keeping Andris Nelsons Eurocentric? Mark Volpe: Europe continues to be an essential place for musicians to work throughout their professional careers, so it is no surprise that this is also the case for Andris Nelsons. When Andris came to us to discuss the possibility of the Kapellmeister position with the Gewandhausorchester, it soon became clear that the opportunity would address some key issues in both his professional and personal lives. Holding leadership positions with the BSO and GHO, Andris enters a new chapter in his professional career, wherein he will focus less time on guest conducting engagements and instead deeply focus on furthering his relationship with his two orchestras and their respective audiences. The multidimensional synergy between the two orchestras—with many strong historic connections between them—served only to help solidify his decision to take on the Leipzig post. Soon after that decision was made, it became clear that Andris wanted to bring his two ensembles together in a way to create something that would be quite unique in the world of orchestral music and to the audiences devoted to both orchestras. In addition, this new focus will allow Andris to tailor his schedule in such a way to spend more time with his family, his daughter, Adriana, and his wife, the acclaimed soprano Kristine Opolais. We can’t imagine a better outcome for everyone involved. For the first Boston chapter of the BSO/GHO Alliance, “Leipzig Week in Boston” will open on February 8, 9, and 10 with the Boston Symphony Orchestra performing works of composers closely associated with the great legacy of the Gewandhausorchester, founded in 1743. The program will open with Bach’s Concerto in D minor for Three Keyboards, with three distinguished soloists, followed by Schumann’s Nachtlied, Op. 108, and Neujahrslied, Op. 144. The second half of the program will open with the first BSO/GHO commission by Sean Shepherd and close with Mendelssohn’s Symphony No. 3, Scottish, in honor of the famed composer who served as Gewandhauskapellmeister from 1835-1847. On February 11, the Gewandhaus Quartet, made up of members of the GHO, will join musicians of the BSO for a program to include Mendelssohn’s Octet, among other works to be announced. 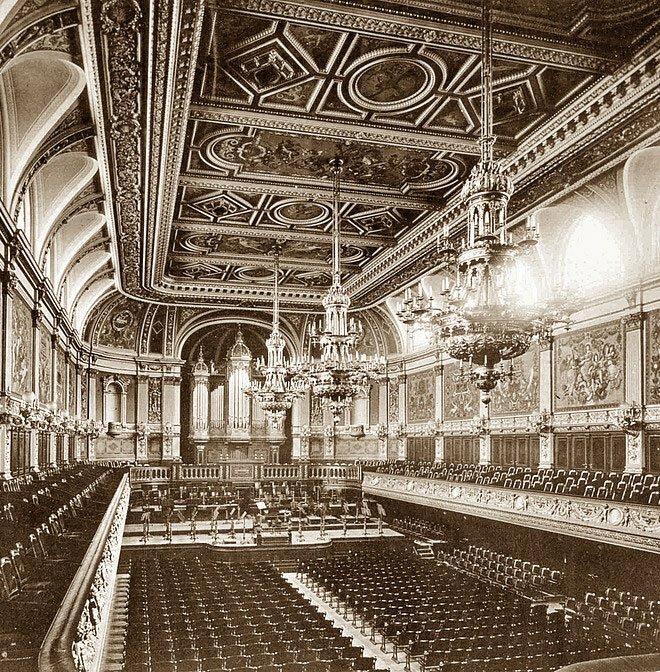 In connection with these programs, a distinguished group of specialists, including Christoph Wolff, Harvard Professor Alexander Rehding, Gewandhaus archivist Claudius Bohm, among others, will be featured in lectures and panel discussions about the history of the Gewandhausorchester and its hall; Mendelssohn and Schumann; and concert hall acoustics. The first “Boston Week in Leipzig,” June 21, 22, and 24, 2018, will feature the Gewandhausorchester Leipzig in performances of works by Stravinsky, Copland, Carter, and Bernstein, all of whom are very closely tied to the BSO’s musical tradition. An iconic BSO commission, Stravinsky’s Symphony of Psalms, opens the program, followed by Copland’s Old American Songs with acclaimed American baritone Thomas Hampson. Elliott Carter’s Clarinet Concerto with composer/clarinetist Jörg Widmann as soloist and Bernstein’s Symphonic Dances from West Side Story, a BSO signature work, make up the second half of the program. The Mendelssohn Octet chamber music program in Boston will be repeated in Leipzig on June 24. These concerts will also feature a film presentation about the history of the Boston Symphony and Symphony Hall. A distinguished group of specialists, including Christoph Wolff, Ken-David Masur, Harvard Professor Anne Shreffler, BSO Artistic Administrator and Director of Tanglewood Anthony Fogg, and BSO Archivist Bridget Carr will be featured speakers. The second “Leipzig Week in Boston” (November/December 2018) will feature the BSO in a performance of Bach’s Christmas Oratorio, in celebration of the great musical traditions of Bach cantata and oratorio performances in Leipzig, where Bach’s own musical activities were centered for many years. These performances will be accompanied by displays of historic materials from the Leipzig Bach Archive and panel discussions on the traditions of Bach performance in the United States. With a special focus on Tanglewood, the BSO’s summer home in the Berkshires of western Massachusetts, the second “Boston Week in Leipzig” (August/September 2018), will feature music of Leonard Bernstein, who was a major presence at Tanglewood throughout his career. In celebration of the 100th anniversary year of his birth, programming will include Three Meditations from his Mass, with cellist Yo-Yo Ma as soloist. Accompanying exhibits and panel discussions will focus on the Tanglewood experience to help familiarize Leipzig concertgoers with the BSO’s acclaimed music festival. Additional repertoire to be performed by the GHO includes Bartók’s Concerto for Orchestra, commissioned by Serge Koussevitzky for its BSO premiere, and the European premiere of a BSO/GHO co-commission by Sean Shepherd. Mr. Ma will also be soloist in Shostakovich’s Cello Concerto No. 1. Christoph Wolff, Adams University Professor at Harvard University, former Director of the Bach Archive in Leipzig (2001-13), and author of numerous acclaimed texts on the history of music from the 15th to 20th centuries, will serve as an artistic advisor to the BSO/GHO Alliance. In that capacity, Mr. Wolff, working closely with archivists and historians at the BSO and GHO, will oversee the creation and presentation of multimedia/film presentations; he will also oversee panel discussions with musicians, historians, and archivists close to these organizations, offering fascinating insights into the stories and accomplishments that make these two institutions legendary. Starting in 2018, another highlight of the BSO/GHO Alliance will be a musician exchange program offering musicians from each orchestra a rare opportunity to spend 3-6 months performing with its partner orchestra in the latter’s home city. BSO musicians participating in the exchange program will immerse themselves in the many activities of the GHO, including weekly subscription concerts with the GHO, regular concerts with the Leipzig Opera, and Sunday performances of Bach cantatas at St. Thomas Church, where Bach served as Thomaskantor, composing weekly cantatas from 1723 through 1750, the year of his death at age 65. GHO musicians who participate in the exchange program will perform with the BSO during their weekly subscription concerts, perhaps also taking part (depending on the timing of their visits) in performances during the Boston Pops spring season and Tanglewood summer season. Though final details are still being worked out, the musician exchange program will be offered to strings, wind, brass, and percussion players of each orchestra. The BSO/GHO Alliance, under the leadership of Andris Nelsons, will feature a series of co-commissions, with new works presented each year of the partnership, starting with works by German composer Jörg Widmann and American composer Sean Shepherd to be premiered in Boston and Leipzig in the 2017-18 season. During the 2018-19 season, additional composers to be featured in the BSO/GHO Alliance co-commissioning program include American composer Sebastian Currier, who will compose a violin concerto to feature Baiba Skride as soloist, and Latvian composer Andris Dzenitis, who will compose an orchestral work in honor of Latvia’s centenary year of 2018. The co-commissioning program will also feature new works by several other prominent composers in subsequent seasons, details of which will be announced at a later date. A highlight of the BSO/GHO Alliance—sure to be greatly anticipated by Boston and Leipzig audiences alike—is an opportunity for Boston audiences to hear the Gewandhausorchester live in Symphony Hall and for Leipzig audiences to hear the BSO in Leipzig’s Gewandhaus. To that end, major touring and performance initiatives will include a performance of Mahler’s Symphony No. 3 by the Boston Symphony Orchestra in Leipzig in September 2018 as part of a late-summer European tour, and a residency by the Leipzig Gewandhausorchester in Boston in October 2019. The latter will include a special joint concert featuring the combined orchestras in a large-scale symphonic work, as part of the BSO’s 2019-20 subscription season. Additional European touring activities and shared presentations are being developed for spring 2022. One of the major highlights of the BSO/GHO Alliance will be a musician exchange program between the Tanglewood Music Center (TMC) and the Mendelssohn-Orchesterakademie (MOA), two of the world’s most acclaimed training programs for classical musicians. This first-ever exchange program between the TMC and MOA will be initiated in summer 2018, with several instrumentalists from the famed Leipzig academy becoming Fellows at the Tanglewood Music Center, where they will participate in master classes and be featured in orchestral and chamber performances. In spring 2019, a TMC Composition Fellow and TMC Conducting Fellow, chosen from a recent TMC class, will have an opportunity to travel to Leipzig to work closely with Andris Nelsons in residencies with the GHO. The TMC Composition Fellow chosen to participate in the Leipzig residency will be offered a commission for a chamber orchestra work, to be performed during her or his time in Leipzig. The TMC Conducting Fellow will be given an opportunity to lead a performance with an ensemble of the GHO and Mendelssohn-Orchesterakademie players. The history of close cultural connections between Boston and Leipzig began in 1881, when the Boston Symphony Orchestra’s founder, Henry Lee Higginson, appointed Leipzig Conservatory-trained Georg Henschel as the BSO’s first conductor. Subsequent conductors of the BSO, including Wilhelm Gericke, Emil Paur, Max Fiedler, Karl Muck, and particularly Arthur Nikisch, were either educated in Leipzig and/or held posts with the Gewandhausorchester. In the mid-20th century, the Leipzig tie was reinforced when Charles Munch was BSO Music Director from 1949 to 1962. Munch, who studied in Leipzig, was concertmaster of the Gewandhausorchester from 1926 to 1933. Symphony Hall in Boston, which was inaugurated in 1900, is not simply a replica of the historically renowned second Gewandhaus that opened its doors in 1884 and was destroyed in 1944. Mr. Higginson had visited the Leipzig concert hall while touring Europe and had instructed his team of architects to design a larger version of the Gewandhaus, with as many as 2600 seats. Boston’s new hall also added the latest acoustic principles to the overall design of its Leipzig counterpart. These acoustical principles played a major role in determining the size of the stage and the placement of sound-absorbing statues in the auditorium, among other features. In 1974, the Gewandhausorchester appeared in Boston’s Symphony Hall during its first tour of the United States. To date, Boston has welcomed the Gewandhausorchester for ten guest performances, including its most recent appearance in the 2014-15 concert season. While the BSO made its debut appearance at the Gewandhaus in May 2016, the Leipzig hall featured the Boston Youth Symphony Orchestra, affiliated with the BSO, in 2008 during its European tour. Since its founding in 1743, the GHO has been associated with some of the greatest figures of music history, including Johann Sebastian Bach, who lived and worked in Leipzig from 1723 until 1750, the year of his death at age 65. In addition to the GHO’s widely known reputation for performances of the works of Bach, the orchestra also gave the premieres of works by such luminaries of classical music as Beethoven, Schumann, Mendelssohn, and Brahms. This tradition has continued into the 20th and 21st centuries with scores by such significant composers as Henze, Kancheli, and Rihm, among others. The BSO’s own compositional legacy is similarly without parallel, including some of the seminal scores of the last century from composers ranging from Stravinsky, Prokofiev, and Bartók, to Messiaen and Dutilleux, and myriad Americans including Copland, Bernstein, Sessions, Carter, and Harbison, among others.